Who says that a story has to end when you reach the last page of the book? The magic of a minibombo book is that the imaginative experience never has to end! On this page, you’ll find lots of fun activity ideas and downloadable sheets to help you explore your favourite minibombo book. 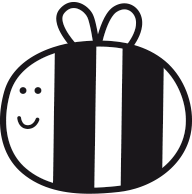 Just choose a title and get bumblebee busy – playing, making and creating!